From left to right: Green Lantern, Wonder Woman, and Superman in Teen Titans GO! to the Movies. Not a day goes by that the world doesn’t weep for having never had the opportunity to see Nicolas Cage as Superman in Tim Burton’s Superman Lives movie that never came to fruition. But the time has finally come for the actor to bring the Man of Steel to the big screen. Last night Warner Bros. 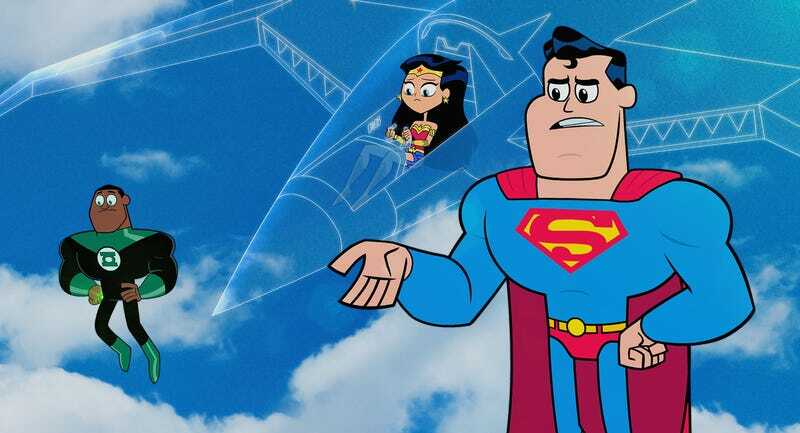 Animation announced that Cage will voice Superman in the upcoming Teen Titans GO! film and, when you think about it, the casting makes perfect sense (and there’s the added coincidence of there previously being talk of Superman Lives being animated). Warner Bros. 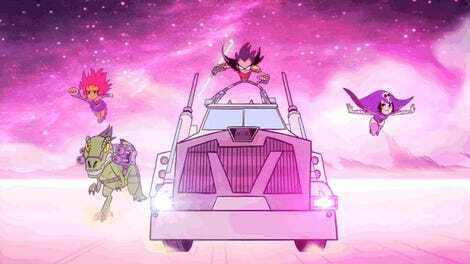 Animation also announced that rapper Lil Yachty and singer Halsey are joining the cast as Teen Titans GO! To the Movies’ Green Lantern and Wonder Woman, choices that make sense given the franchise’s musical numbers. Though these new Leaguers might not be voiced by talent typically associated with DC’s flagship heroes, it’s looking like Teen Titans GO! To the Movies take on them might just end up being the most fun we ever see in theaters when the movie drops on July 27.